We carefully screen all of our adoption applicants to assure that all our rescues go to a prefect home. We make sure that the family adopting is a good fit for the cat or kitten's personality. We look at the adoptors past history with animals and how the pet will be cared for. We ask that all of our cats go to forever homes where they will stay for the rest of their lives. We require that all adopted cats be indoor cats only. We request this due to the dangers the cats face out doors, birds of prey, other humans, dogs, wild animals, cars, to name a few. All of our rescues are spayed/neutered, vaccinated and have their rabies shots. All are microchipped and stay registered under our rescue as a secondary owner. 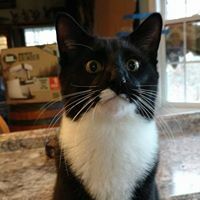 Adoption fees are on a case by case basis not to exceed $100 to help fund the care the adopted cat. Note: The costs associated to a rescued cat that is ready for adoption are: Spay/ neuter, vaccinations, rabies shot and microchipped are approx. 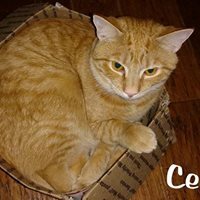 $65 -$100 per cat, plus any other medical and care expenses. 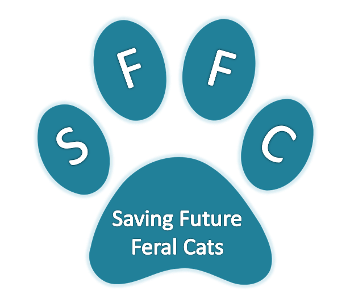 Your donations will be used towards saving others by trapping, spay/neutering and caring for the cats at the rescue waiting for adoption. Please consider our rescue to adopt your next family member. 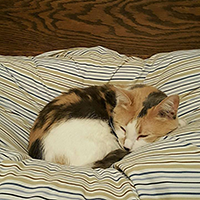 Dora is a very sweet girl who was adopted in 2015 from CCAD. Dora was surrendered to a high kill shelter in TN last month and fostered for a month until she could be returned to Maryland. Dora has had a rough time trying to find a stable home. 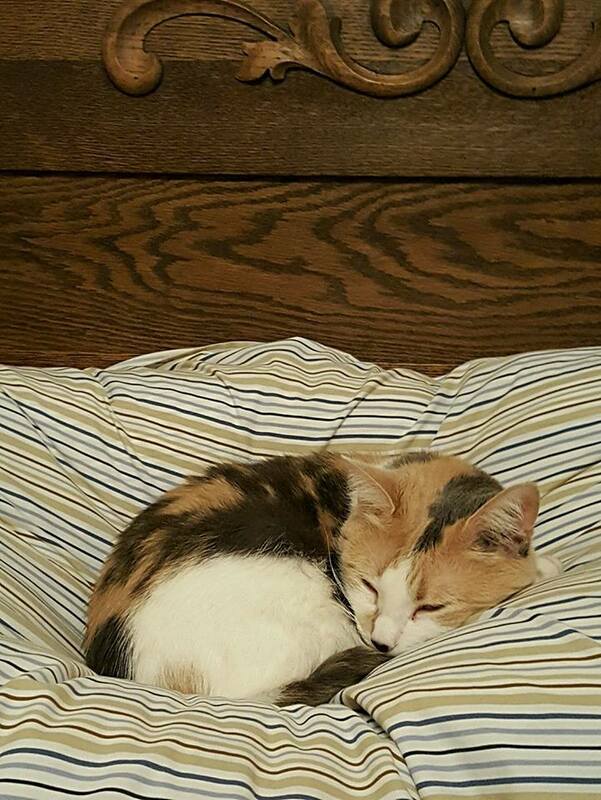 She needs a home where she is the only cat with no dogs. Dora wants all the love for herself, She is a talker and will tell you all about it. 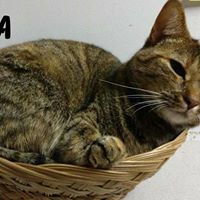 Please consider giving Dora her forever home. Dora is being fostered at our shelter for CCAD until we find her a Home. Emerald is a sweet 1 yr old girl that was rescued from the streets. She is believed to have been loved at one time, was dumped on the streets or she was a stray that could never find her way back home. She is very Loving, cuddly and beautiful girl. 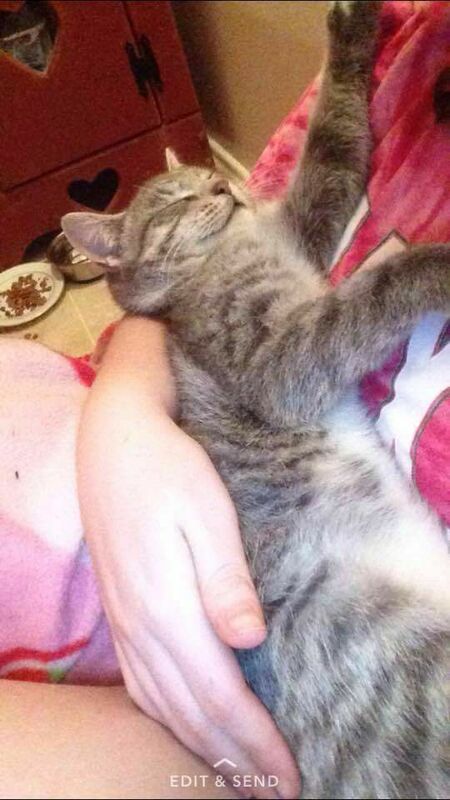 All she wants is to be held and cuddled. Please give Emerald some loving arms to cuddle in. 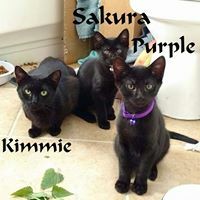 Purple, Blue Boy and Momma Kim were rescued off the streets along with their sister Sukura or Pinky. 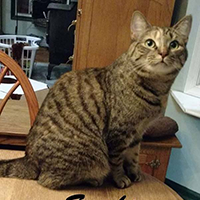 Momma Kim is a shy but very sweet little lady who is approximately 2 years old, her children are about 9 months old. 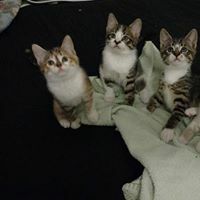 They are all looking for a wonderful home. 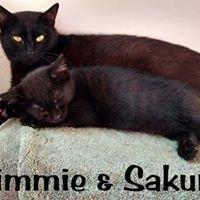 Blue Boy and Purple would love to stay together and Momma And Sakura, little Pinky would love to stay together. Please consider this little family to join your family. 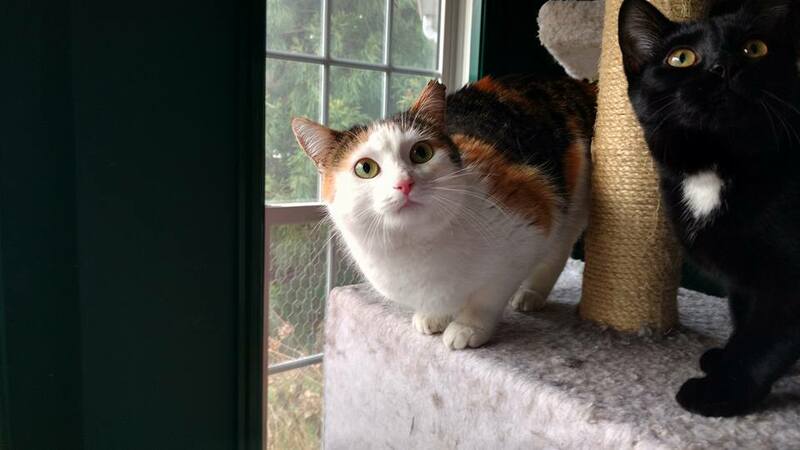 Gloria is a beautiful Calico who was rescued off the street at an aprtment complex close to a very busy road. Gloria was rescued with her family, Jack and BeBe. She was living on the Streets for two years or more, had her two kittens a year ago, who live outside fending for themselves before individuals who were feeding the family called the rescue. Gloria is such a sweet love bug, she will follow you everywhere. She is looking for a glorious home where someone will sing Glory Hallelujah to her and love her forever. Priscilla is a beautiful black girl who raised her 4 children on the streets. 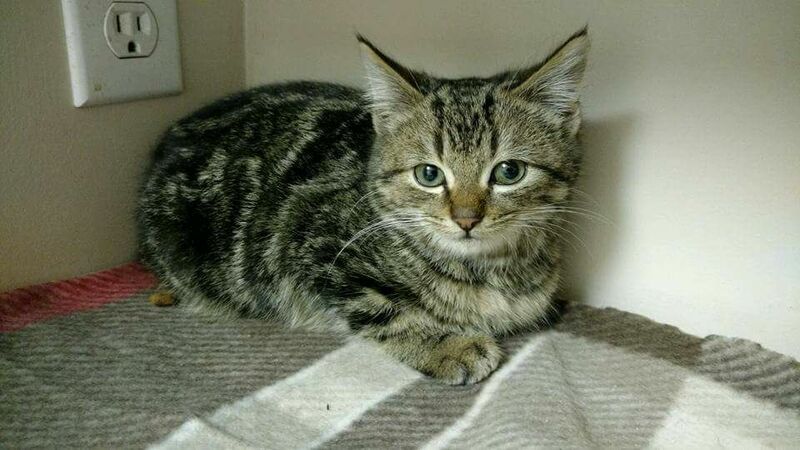 She is a shy little girl who loves to play and cuddle with you. As the saying goes black cats have the greatest personalities...this is so true with Priscilla. Please consider giving her a loving home where she can cuddle with you every night. Priscilla will be forever grateful to you and love you forever for giving her a warm loving home. Sophie is a sweet girl who was born to a feral momma. She has many extra toes, a very rare trait in cats. They say extra toed cats give you luck. 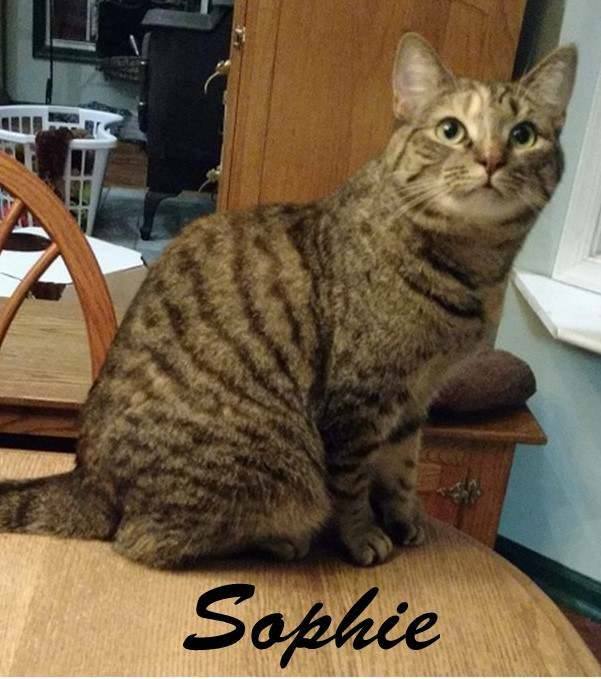 Sophie would make a wonderful addition to any family. 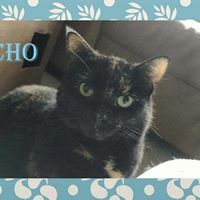 Echo grew up outside with no human contact, but now is a wonderful little girl who will blossom even more in a home where she is loved and cared for. She would do well if adopted with Sophie. They are looking for a forever family to continue their lives inside out of the wild either together or adopted alone. 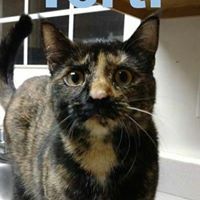 Torti is a sweet girl who has many extra toes. She was born to a feral momma she is Sophie's Sister. Torti loves to be rubbed behind the ears and loves to play. She would do well as a cat adopted by herself or with Sophie or Echo. She needs a home where she can run and play with others. Consider adopting this sweety. 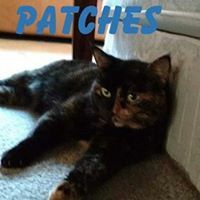 Patches is a sweet little girl who had several litters out in the wild. Previous to being rescued Patches had no human contact but does very well now with people. She is still shy, but loves to be pet, have her back scratched and be loved. She does not like to be picked up, but we believe that if she was in the right home she would begin to allow being picked up. She would love to be in a home where she could watch the birds outside a window. Please consider adopting this sweet lady. Cecil is a small version of a lion. He is a sweet shy big boy who is about 1 1/2 years old, born here at the rescue to a feral momma. He needs a home where he would be shown much love and attention to draw out his personality and help him get over his shyness. He really is a loving sweet quite boy who gets along with everyone. He loves his Momma Patches, they would make a great pair to adopt together. 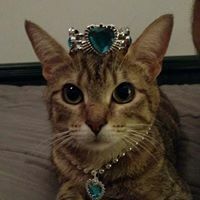 Allyson used to be an ally cat at a convenience store out in the wild with a feral colony, she has blossomed into such a beautiful sweet girl. She loves the dogs and asks for attention from the two dogs at the rescue. She will grab you as you walk by to get your attention, asking for a pat. She still is a little skittish but we believe she will come out of this even more once in a home where she gets all the attention. 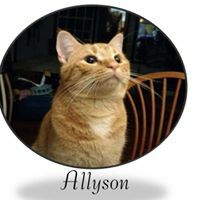 Allyson will make someone a wonderful cat. Dobby is a 3 month old wild little boy who was born to a feral momma. Dobby is really sweet when held and showen love, he is still very scared, still needs a lot of work to be socialized. 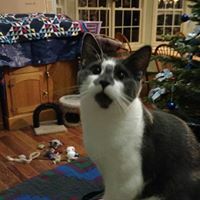 Dobby needs a special individual that can work with kittens that still have fear. 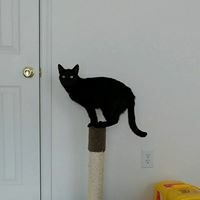 He gets along with other cats that are playful and not aggressive. With time and love Dobby will make a wonderful boy for someone. If you have the time to show Dobby some love, give him a family or would like to foster to adopt Dobby to socialize him he would love you forever. It is very rewarding to be able to teach a young kitten that the world is not that scary and teach them to love. Please consider adopting or fostering this little boy. 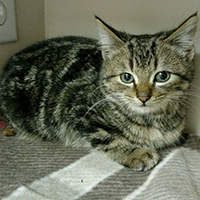 Mercury is 6 month old kitten who is very active, he loves to play. 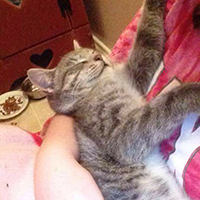 He is a cuddler and loves to be shown attention. When he is not getting attention he will make sure you do, he will come get it. 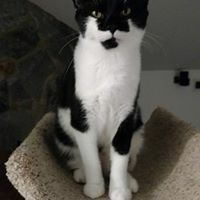 Mercury would love to have a forever home with his sister Rhapsody or brother Freddy or Edelweiss. He will need someone to play with that is energetic. Mercury is such a handsome guy and soooo sweet. Please consider giving him a forever home. Rhapsody is such a sweet little girl who just loves to have her belly pet. She is all LOVE! She is so very playful and loves to run around with the boys. 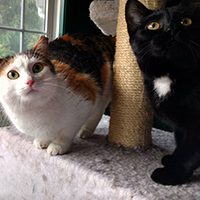 Rhapsody would love to have a home with her Brothers Mercury, Freddy, or even Edelweiss. Rhapsody knows you want a Queen family to show love to you forever? Freddy is Rhapsody and Mercury's brother. He is a very sweet boy, very playful and active. He loves to cuddle with you at night and sleep on your legs. Freddy needs a very loving forever home and would like to be able to go home with his siblings. Anna was a momma cat with one little kitten, they were put into a box, taped shut and dumped on the side of the road. She has been with us for over a year and is such a sweet lady. She was named after Anna in the movie Frozen, she has the red hair and the white tipped tail, we pretend she was frozen. Anna is such a lovable girl and would love to share this love with a forever family. Royal is a sweet momma cat that was recued off the streets just in time to have her babies here at the rescue. She had beautiful babies which she took very good care of, now she is ready to take care of her new forever family. Please consider adopting this beautiful lady and give her a loving forever home. 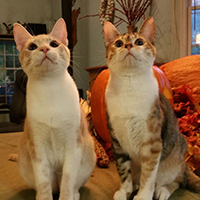 Calista and Edelweiss are brother and sister they are both looking for that perfect home where they will be loved forever. They do not need to be adopted together but it would be a plus if they could be adopted together or with one of the other young teenagers they grew up with. 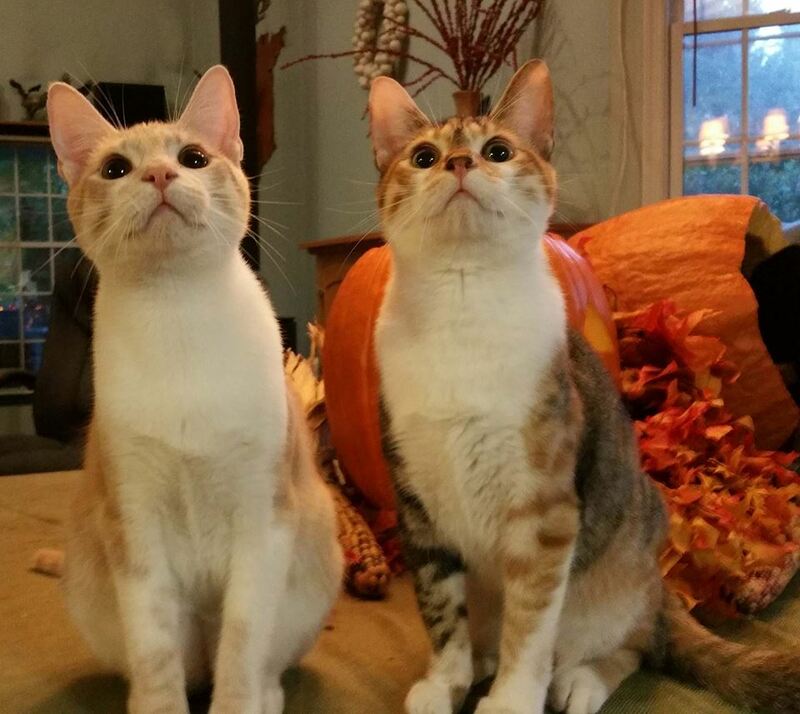 Both are very sweet loving active kittens looking for a home where they can run and play indoors forever.